Before the 1960 Rome Olympics, very few people knew who Ingrid Krämer was. After her victories in the women’s 3-meter springboard and 10-meter platform diving competitions in Rome, she was the face of German sport. According to Der Spiegel in an article in 1964, the newly emerged blonde superstar, Krämer, was inundated by requests for marriage. Krämer, who eventually accepted a proposal by weightlifter, Hein Engel, proved she was no fluke. In fact, she proved to be the most dominant female diver in the world, by talking gold in springboard and platform by double digit points over her second place competitors at the 1962 European Championships. So when the 1964 Olympics began, Engel-Krämer was a frontrunner. In the 3-meter springboard competition, Engel-Krämer’s competition were two Americans named Jeanne Collier and Patsy Willard, who aimed to restore glory to the United States and prevent the East German Engel-Krämer from repeating her gold medal victory in Rome. But Engel-Krämer was dominant in the springboard again, taking gold handily. According to the book, Olympic Games 1964 Innsbruck – Tokyo, edited in German by Harald Lechenperg, Engel-Krämer’s advantage was precision. People say of the former Olympic victor, Mrs. Engel, that she has no longer possesses the elegance she used to have. Well, her strongest point was never elegance, but sureness. Ingrid Engel dives with a precision of movements which is lacking in everyone else. She makes no mistakes. It is easy to slip up on springboard diving when the body, as if touched by magic, turns, twists and moves about its own axis. By taking gold in the springboard, Engel-Krämer would reach the heights of famed diver Pat McCormick, who was then the only woman to have won gold medals in both springboard and platform in two consecutive Olympics. But Lesley Bush of America would have none of that. While the competition was close, Engel-Krämer would take silver. British journalist, Christopher Brasher, wrote in his book, A Diary of the XVIIIth Olympiad, that Engel-Krämer may have been a reluctant participant in the Olympics, which could have affected her performance. I have heard that she didn’t really want to come to Tokyo. 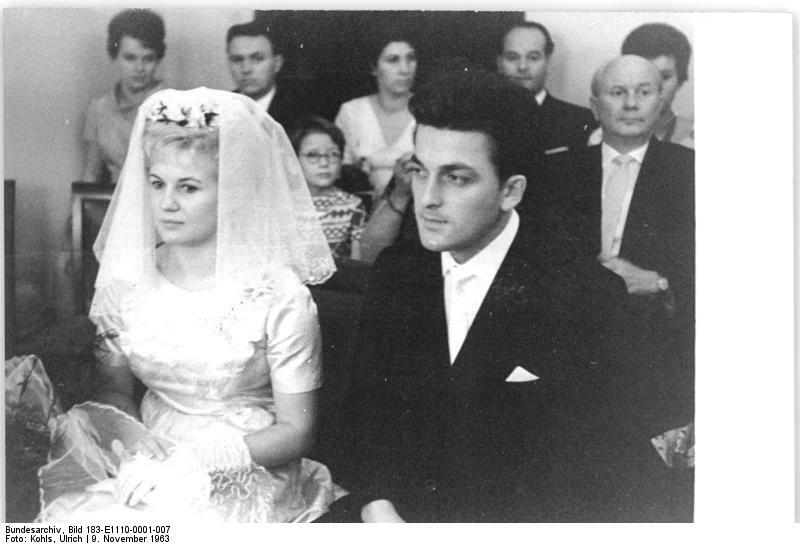 She was married a year ago to one of East Germany’s best weightlifters, Heinrich Engel. They are both students at University and the combination of being a Hausfrau and a student doesn’t leave her much time for training. But east of the iron curtain it is only too easy for the authorities to put some gentle pressure on a reluctant athlete. With many of the necessities of life, to say nothing of the luxuries, in short supply, the stars of sport are often given preferential treatment – so it pays to keep on competing. Thus the German, as the first jumper in the world of the double-screw somersaults – a one-and-a-half-turn about the longitudinal axis of the body, with a simultaneous twisting of the body and its transverse axis – succeeded just as accurately as an ordinary head-jump. A 10-meter jump case takes at most 2.1 seconds, a jump from the three-meter board even less. Ingrid Engel-Krämer made her work very quickly. In Tokyo, Ingrid Engel-Krämer was no longer able to finish her turn so early. A disadvantage that cannot be compensated by training and energy in the long term is the following: the best in the world does not have the ideal figure for her sport. Ingrid Engel-Krämer is only 1.58 meters tall, but weighs 56 kilograms and tends to fullness. “She is as wide as high,” her first coach mocked. Posted in Diving, Geo-politics, Other Olympics, Others, Tokyo 1964, Water Sports and tagged Diving, Hein Engel, Ingrid Engel-Kramer, Lesley Bush, platform diving, Sammy Lee, springboard diving. Bookmark the permalink.